One of the most debated broadheads ever created is the Rage 2 Blade broadhead. The Rage 2 Blade broadhead is a 2 blade mechanical rear deploying broadhead. While in flight the broadhead has a diameter of 5/8 of an inch but when it strikes the target, the head delivers a devastating 2 inch gash. While in flight, the mechanical blades are held within the broadheads frame by either an O ring or a shock collar. When the broadhead starts to penetrate its target, the blades slide down the broadhead’s shaft and deploy at the rear of the broadhead and lock into place. Most people either love or hate this product for one reason or another. 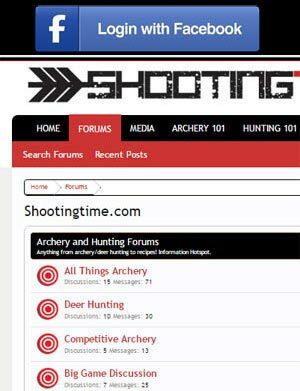 We, the shootingtime.com staff use and suggest the use of this broadhead. We have killed over 40 deer with this broadhead and have not had one fail us yet. This broadhead delivers unbelievable blood trails, excellent penetration, and has left us with an extremely high recovery rate. Most people who talk badly about this broadhead do so because of the possibility of premature deployment. From what we have heard, premature blade deployment on the rage 2 blade broadhead could be due to inadequate care for the broadhead, specifically the O ring. The O ring is made of rubber. The blades are made of steel. If not cared for properly, the steel of the blades could wear on the rubber of the O rings and lead to premature deployment in some cases. never shoot the rage 2 blade broadhead into a practice target. store the rage 2 blade broadhead in a proper quiver which grabs the arrow in two locations and stores the head in a hollow cavity. Wide 2 inch cut which results in very impressive blood trails. Due to its small in flight diameter, it flies and is accurate like a field point. Contains a sharp cutting head and two quality scalpel sharp blades. Due to its large blades, upon entry the broadhead may be redirected or deflected off its trajectory. The O Ring system needs to be taken care of so premature deployment does not occur. 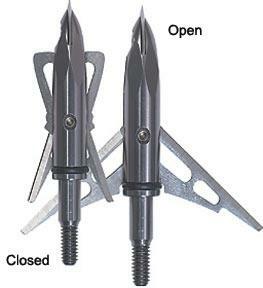 Some versions of this broadhead use a pressed pin instead of an allen screw to hold blades in place making changing out the blades very difficult. If you take care of the Rage 2 Blade broadhead, you should never have a problem. The devastating 2 inch cut has put many animals to the ground that would have lived much longer with a lesser broadhead. This is why we give the broadhead a 4 of 5 star rating. 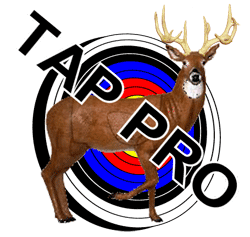 For more information on Rage broadheads, visit their website. have you tried these broadheads with a recurve . i shoot a 52# , my arrows fly at 186 mph.37 ft. lbs.